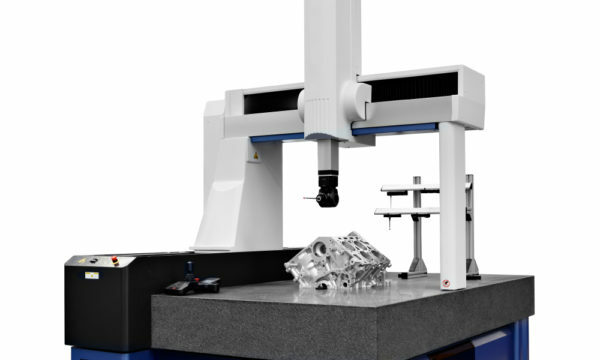 Many proven hi-tech applications, such as robotics and digital mapping, depend on spherical bearings to accomplish essential tasks and produce end products. As technology advances, new applications that require spherical bearings will continue to emerge and New Way’s frictionless spherical air bearings can deliver improved performance both in existing applications as well as developing cutting-edge uses. The military and private industry constantly look for ways to improve reliability, reduce costs and limit production downtime for their operations. As an example, the military invests heavily in programs to improve the reliability of helicopters. 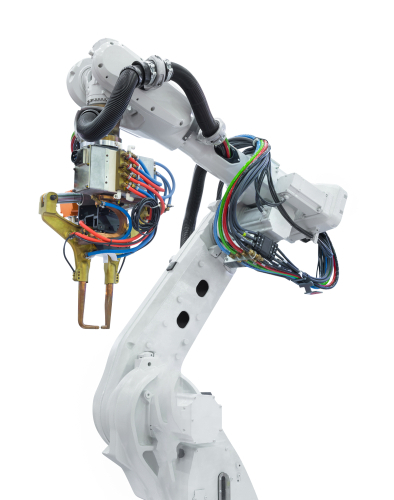 Manufacturing relies on robots to perform redundant and precise movements to produce products. The auto industry would not be competitive, and would not be able to survive without the use of robots. Mapping of terrain and GPS positioning uses laser Lidar technology to define exact locations in clear detail. How Are Frictionless Spherical Air Bearings Superior to Traditional Spherical Bearings? Spherical air bearings from New Way provide significant advantages in comparison to traditional friction type spherical bearings. Our frictionless air bearings use proprietary Porous Media Technology™ to provide an air cushion that carries the load without contact to the moving parts. New Way works with our customers to provide custom designs that meet their varying and often complex needs. The current designs of traditional spherical bearings that use friction have different roller bearing arrangements, such as single row barrel bearings, single row thrust bearings or double row convex bearings. All rely on roller bearing friction to achieve the load and functional movements. However, the concerns of friction bearings are the limitations of speed, lubrication, and maintenance requirements and excessive wear. The Mechanics of Robotics describes several types of joints to accomplish the tasks of a robot. Every joint connects exactly two links; joints that simultaneously connect three or more links are not allowed. The spherical joint (S), also called a ball-and-socket joint, has three degrees of freedom and functions much like the human shoulder joint. New Way’s Spherical Air Bearing can provide this function with frictionless motion to reduce downtime for maintenance and extend its mechanical life. The Lidar Imaging technology (stands for Laser Imaging Detection and Ranging) allows for the advancement of digital mapping. 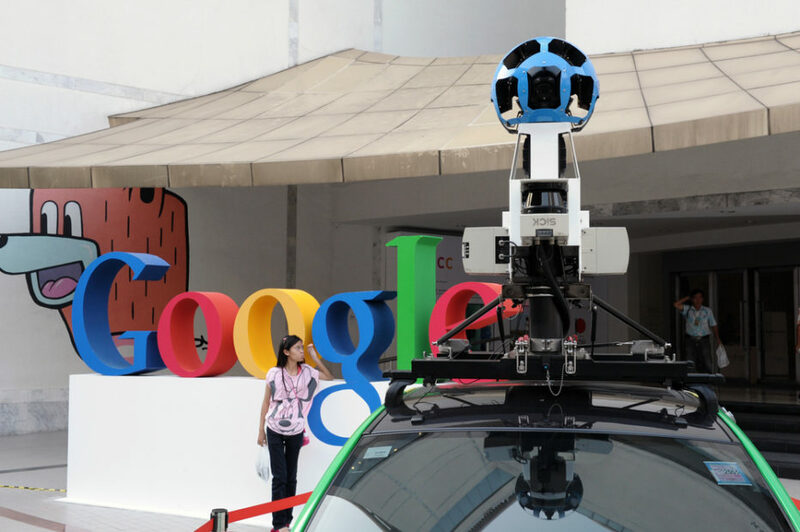 Google has added Lidar technology to the mapping of street locations via cars mounted with multiple cameras. In the main ball on top of the car, there are seven cameras packaged in a small bundle. These cameras rotate around the car, and the pictures they take are stitched together into a spherical image for Google Maps. The mechanisms for moving the cameras would be candidates for New Way’s spherical air bearings because they would allow frictionless and smooth movement of the cameras in several directions as the car travels. The military has been investigating the reliability and maintainability of rod end joints for helicopters. These rod end joints, which essentially are spherical bearing type joints, would be an application for spherical air bearings that improve reliability and maintainability with frictionless motion. Improving the reliability of the rod end joints ultimately results in improved safety. New Way manufactures a standard line of designed-to-order spherical air bearings that fit a variety of applications. The housings are stocked and we await your radial specifications and resolution requirements. The S36 Spherical Air Bearing Series offers a wide range of sizes, from 25mm to 200mm, accommodating an even broader array of sphere sizes to fit any application. For example, a 65mm spherical air bearing can be manufactured with a radius from 65mm up to 325mm. Our standard line of thrust bushings can be used in conjunction with the spherical air bearings if axial constraint is required. New Way also manufactures custom spherical air bearings to your specifications. Custom shaped housings are engineered as determined by your application, in sizes larger than are available in our standard product line. Consider these and other applications that can meet your needs, and do not hesitate to contact us for a free consultation regarding frictionless spherical air bearings with improved performance.